Leftover turkey recreation at its finest right here folks! People wait all year for the lovely bird but what happens after that? Long after people have stuffed their faces and loosened their belt buckles, some of us may have leftover turkey. If you’ve properly stored your bird in the fridge than it should still be good. Turkey (and any other cooked poultry) lasts about a week without going bad. You may have some gooey fat hanging on but that’s completely normal if you had a fat and juicy turkey so don’t freak out. 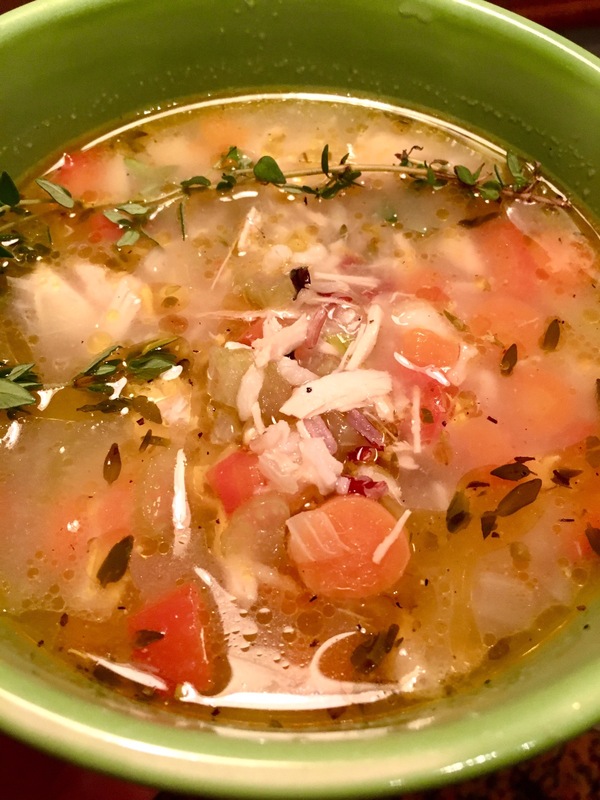 Today happens to be a dreadful day so it’s perfect to share my turkey and wild rice soup packed with fresh veggies that you may still have in your fridge from thanksgiving. 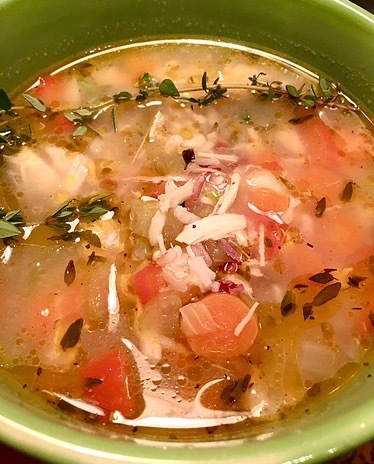 I chose wild rice instead of a noodle because it has a slight crunch and adds a lovely dark color and mild flavor to the hearty broth. Since the holiday just passed, turkey stock is all over the place. I used the turkey stock but chicken or even veggie stock will do the trick. Soups are my absolute favorite because the possibilities are endless. 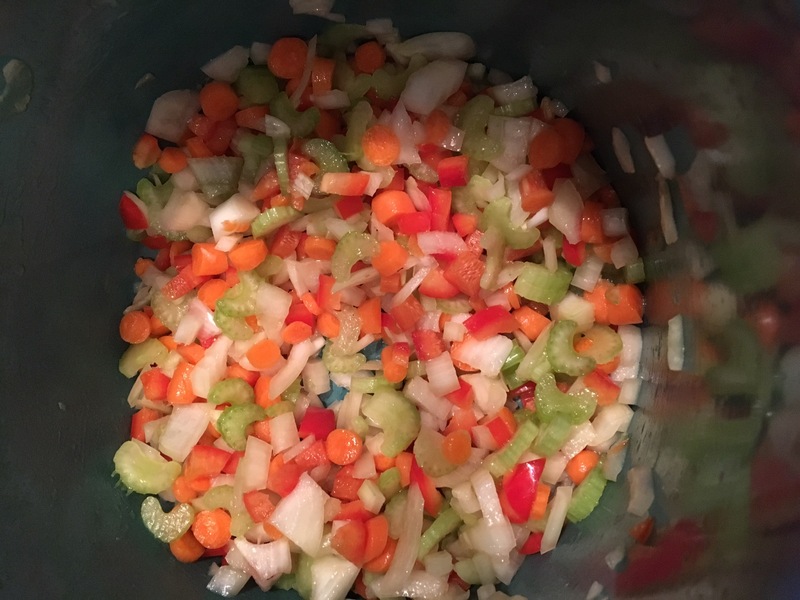 I often throw all of my scrap veggies in a pot with some salt and pepper and make homemade stock. People have this crazy idea about stock being so difficult and time consuming but it’s really as easy as boiling pasta. We’ll get to a good stock recipe one of these days but for now, let’s get to the souuuuuuuup. In a large soup pot over medium heat, add your olive oil and all of our veggies. Sautée and let cook for about 5 minutes until translucent. Add your garlic and sautée another minute. Season with a tsp of salt and pepper and stir for additional minute. 2. After 3 minutes, add your stock. Bring to a boil then reduce heat to low to simmer for 20 minutes. 3. After 20 minutes, add your wild rice and cook an additional 20 minutes or until the rice is cooked. 4. Once it is cooked, add your turkey, thyme, and the rest of your seasoning. Give it a good mix and let cook an additional 10 minutes before serving. Add more salt or pepper to taste.